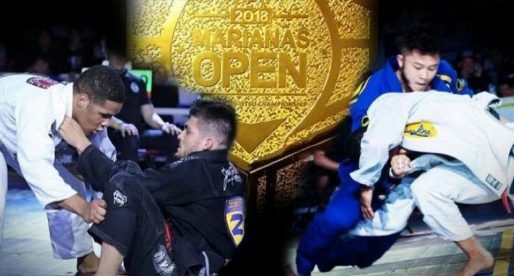 JUNE 3, 2018 LONG BEACH, CALIFORNIA set the scene for the final day for the International Brazilian Jiu Jitsu Federation’s (IBJJF) World Championship, the most important grappling tournament in this sport’s international circuit. 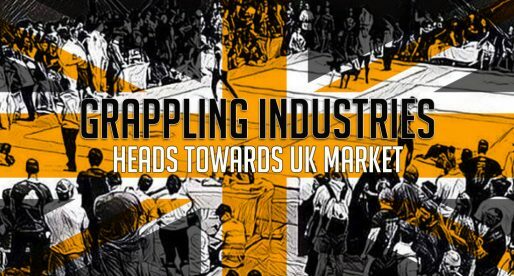 With all of jiu jitsu’s stars gathered for this event there was no shortage of high quality matches. From this year’s crop there are a few matches that will certainly withstand the test of time as some of the best duels ever seen at the IBJJF Worlds. Matches such as Matheus Diniz x Lucas Barbosa, Nicholas Meregali x Felipe Pena, Jaime Canuto x Isaque Bahiense, Felipe Pena x Fellipe Andrew, Marcus Almeida x Meregali, and many more. Truly outstanding tournament. Two of the biggest names to come out of this tournament were those of Scandinavian competitors Tommy Langaker and Espen Mathiesen. Two athletes who proved to everyone that beautiful, forward thinking and submission oriented jiu jitsu is alive and well in BJJ’s toughest divisions (light and middleweight). Another athlete who showed this same mentality was Nicholas Meregali. The Brazilian displayed some of the finest jiu jitsu in the tournament but unfortunately for the Alliance Porto Alegre athlete, the many wars battled in the absolute and weight class cost him a gold medal, once fatigue sunk in during the semi finals. On a sadder note, some very dubious referee decisions cost athletes their dreams, two of these were seen in Lucas Lepri’s awarded advantage vs Espen Mathiesen and particularly Patrick Gaudio’s advantage over Keenan Cornelius, even more so the decision to Gaudio that followed. Heart breaking to see these athletes go out this way. Many historic moments spawned from this year’s World Championship. One of those was Bruno Malfacine further cementing his spot as the best rooster weight of all time and improving on his own world title record from 9 to 10 black belt world titles, matching Roger Gracie’s record and pilling 8 gold medals on the former roosterweight record holder Omar Salum. Not only did he win, Malfacine beat all his opponents by submission. In the end Bruno left his belt on the mat, a symbolic gesture that usually represents the athlete’s retirement from the tournament. Light featherweight phenom Michael Musumeci showed up to defend his 2017 world title and did it with ease, proving once again his dominance in the division. In the process Musumeci became the only US athlete to achieve the title twice in their career, all this in 21 years of existence. The lightweight division has historically been one of the most balanced weight classes in the sport. Back in 2016 Lucas Lepri broke the record by earning his 4th world title in the division, a podium shared with his team mate Michael Langhi. Since then Lucas has continued to break his own record, achieving today his 6th world title in another flawless performance where he didn’t get a single point or advantage scored on. 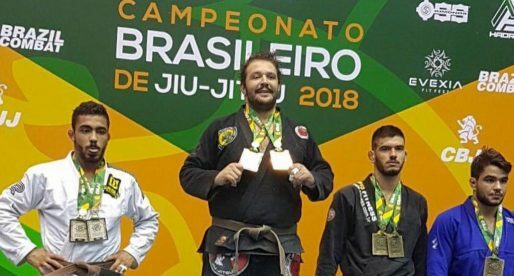 Another athlete who made history (again) today was Marcus Almeida, who took his black belt world titles up to 11 – surpassing Roger Gracie’s 10. Although Almeida could have taken double gold, given that Leandro Lo injured his shoulder in the super heavyweight division and could not compete against Buchecha in the absolute final, the Checkmat power house chose to forfeit the absolute title to Lo, only earning the ultra heavyweight title after beating Joao Gabriel Rocha. And then there was Leandro Lo, an athlete whose been gunning to match Saulo Ribeiro‘s record of 4 world titles in 4 different weight classes for quite some time. He came up short in 2017 when he placed second at his first attempt for the heavyweight title (after successfully winning the light, middle and medium heavy classes). This year Leandro went up even higher attempting revenge over the man who beat him in the final last year (Meregali). Unfortunately that match did not materialize for Lo, instead he faced Mahamed Aly of Team Lloyd Irvin who proved too powerful for the legendary Ns Brotherhood leader. In one stand-up exchange a powerful snap down by Mahamed forced Lo to post his arm on the ground which caused a dislocation to the shoulder. Leandro tried to keep in the match but succumbed to the pain after a couple of minutes and was forced to quit. After this disappointing loss, and unable to battle Marcus Almeida for the open weight crown, Lo’s hopes of matching Saulo’s record seemed broken. That was until Marcus chose not to challenge Leandro, this way awarding the São Paulo native his first absolute title and his 4th world title in a different weight class. Maria Malyjasiak also made history by being the first Polish national to reach the final of the IBJJF World Championship. Malyjasiak competed in the heavyweight division, making it to the final against Nathiely de Jesus, where she lost by 2 advantages. Another positive note to jiu jitsu’s power couple the Canuto’s, Renato and Raquel who made history in 2018 by being the first married couple to reach the final of the IBJJF Worlds. This was Raquel’s first shot at the title and the sign of great things to come. Renato on the other hand put on amazing performance after amazing performance, being one of the break throughs of the tournament. After many years of Brazilian dominance, with Rubens Charles Cobrinha and Rafael Mendes being the most dominant champs ever seen in the featherweight division, there was much debate regarding who would take control of the 70 kilogram weight class. The question was answered by Shane Jamil Hill-Taylor, a representative of Team Lloyd Irvin and an amazing talent who (in his 2nd year at black belt) brought the title to the United States. 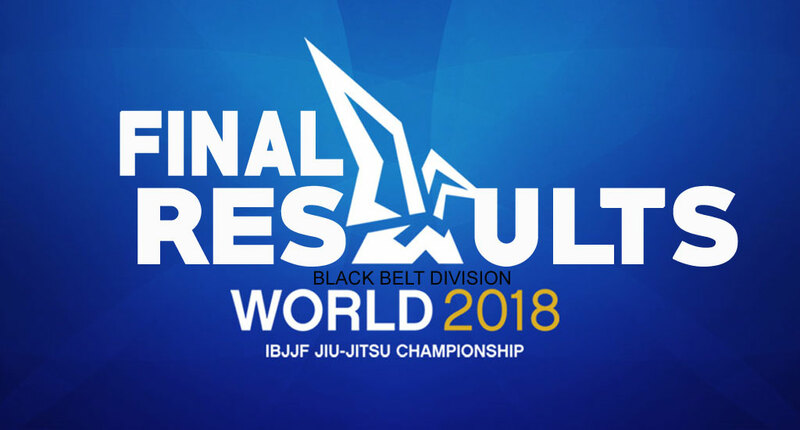 Below are the main matches results and category winners at the black belt adult divisions of the 2018 IBJJF Mundial, also known as World Jiu Jitsu Championship. Just heard that Leandro Lo gave up his absol semifinal match against Buchecha in 2016 Worlds because that was Buchecha’s return from the devastating knee injury and surgery. Buchecha did the same for Lo in 2018 without hesitation. What a story of friendship and sportsmanship between the sport’s best athletes.